Filtrific®’s large selection of adjustable pump discharge kits accommodate varying pump profiles and threads. 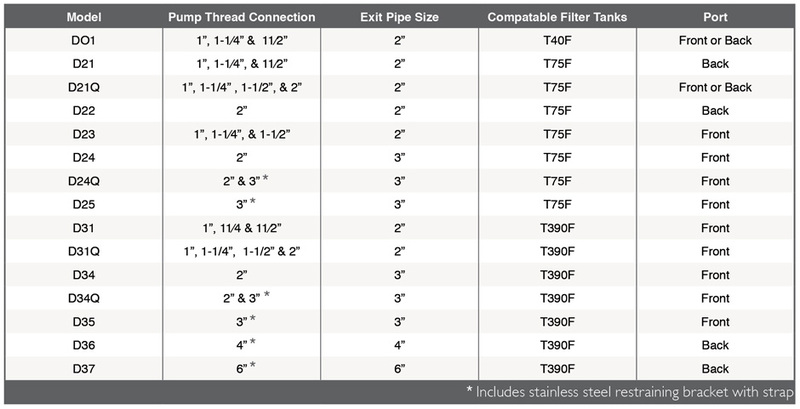 Pass-ThruTM hub connections allow pipe to pass continuously through the Filter Tank wall without interruption. 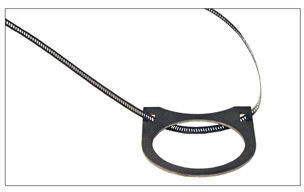 Restraining brackets prevent pipe separation in high flow installations and allow discharge length adjustments.